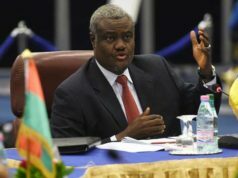 New York - Whether you read an essay or news story written by people who sympathize with the Polisario or you discuss with someone who supports its narrative, you will always come across the same arguments: Morocco is illegally occupying the Sahara since 1975 and is, thus, depriving the Saharawi people of the right to self-determination and self-rule; the Polisario is the sole and legitimate representative of the Saharawis and is fighting for their independence and Algeria supports the Polisario because the principle of self-determination is one of the tenets of its foreign policy. 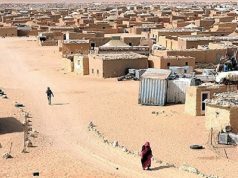 New York – Whether you read an essay or news story written by people who sympathize with the Polisario or you discuss with someone who supports its narrative, you will always come across the same arguments: Morocco is illegally occupying the Sahara since 1975 and is, thus, depriving the Saharawi people of the right to self-determination and self-rule; the Polisario is the sole and legitimate representative of the Saharawis and is fighting for their independence and Algeria supports the Polisario because the principle of self-determination is one of the tenets of its foreign policy. The common denominator of this narrative is that the history of the Sahara starts in 1975 and what happened before that date is of little importance in determining the righteousness of each party’s positions. Yet if you do some homework and do some in-depth reading about the Sahara dispute, you will realize that the arguments put forth by people who support the Polisario and express their leaning towards allowing people under occupation to exercise the right of self determination, suffer from several shortcomings. First of all, they overlook the fact that the Polisario is a pure creation of Algeria, that without Libya and Algeria’s generous financial, political and diplomatic support, it wouldn’t have come into being in the first place. The creation of Polisario came also in the context of the Cold War, at a time when Morocco and Algeria were pitted against each other not only for territorial reasons, but also for ideological reasons. 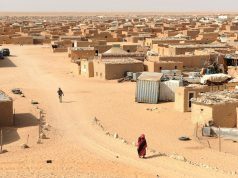 It is the ideological opposition between Morocco and Algeria that prompted other “democratic” and “progressive” countries to provide their support to the Polisario. An example, in this regard, is that of the late Muammar Gaddafi. In fact, the reason behind the latter’s support to this movement wasn’t because he believed in the righteousness of its “cause”. The rationale behind it was merely the hatred he held against monarchies, especially Morocco’s late King Hassan II. Secondly, to say that a country is under occupation implies the existence of that country before it was occupied by any foreign country. Yet the Polisario had never existed before its creation by Algeria and Gaddafi’s Libya in 1973. Before that period, and since 1957, the only country that laid claim to this territory was Morocco. Thirdly, the political fuss that has surrounded the question since the beginning of the 1960’s and the vested interests of many players in the Sahara would not have happened if those players did not know about the potential richness of the territory. Yet, during the heyday of the colonial era and when no one had ever learned of a liberation movement in the Sahara called the Polisario, Moroccans were engaged in an unrelenting war of liberation against Spain. Since 1884, up until the beginning of 1960’s, Moroccans were not fighting against Spain because they were aware of the potential richness of the territory; they were determined to dislodge Spain from the Sahara, because they were convinced that this territory was part of Morocco. It is only because of the potential of the territory that Spain, in a preemptive attempt to thwart Morocco’s efforts to recover the Sahara, decided by the decree of 21 April 1961 and of 29 November 1962 to separate the Sahara from Sidi Ifni and make the former a Spanish province, equal in status to other metropolitan provinces. In addition, in no history books has there been a country called the Sahara or such thing as Saharawi people. 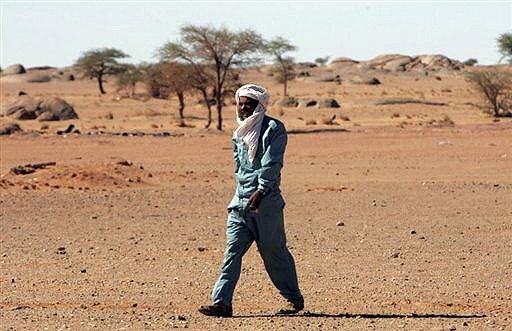 What existed was a nomadic population that was living in the Sahara, which had allegiance to Morocco. 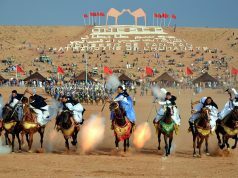 This fact was confirmed by the advisory opinion of the International Court of Justice, according to which the Sahara was not a no man’s land but there existed links of allegiance between the Saharawi populations and Morocco’s Sultans (Kings). Even the term Saharawi did not exist until the 1960s. If there has been a distinct Saharawi people and a country in the Sahara, one wonders where they were when Morocco was putting pressure on Spain in to order to push it to decolonize this territory. One wonders also, where were the “leaders” of the Polisario when Morocco was negotiating with Spain the terms of its withdrawal from the Sahara. Were the leaders of the Polisario fighting against the Spanish presence in the Sahara since 1884? Was the population of the Sahara fighting against Spain under the banner of the Polisario? 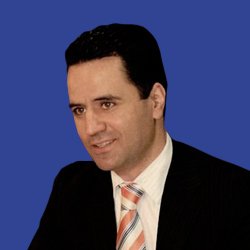 Those who nowadays support the Polisario also overlook the fact that it was Morocco’s unfortunate decision to dissociate the Sahara from Sidi Ifni and accept the principle of holding a referendum of self-determination that pushed the United Nations General Assembly to envisage a separate settlement for both territories. As shown in my previous articles, until 1966, all relevant United Nations resolutions regarding the territorial dispute between Morocco and Spain included the Sahara and Sid Ifni in one package. Furthermore, during the same period, there were no other interested parties in the territorial dispute over the Sahara besides Morocco and Spain. It is only after Morocco was lured by Spain into accepting the dissociation of both territories that the United Nations doctrine regarding the settlement of the Sahara changed and a solution based on the principle of self-determination was chosen. The phrase “interested parties” appeared for the first time in the United Nations Special Decolonization Committee’s resolution A/6300 of 16 November 1966. By the same token, it was the initial diplomatic blunder made by Morocco’s diplomacy to dissociate Sidi Ifni from the Sahara and accept the principle of self-determination that provided for the inclusion of other interested parties in the settlement of the conflict. It enabled Spain to have more room for maneuver, buy time, play on the differences between the three Maghrebin States and thwart Morocco’s attempts to recover its sovereignty over the territory. This inclusion was all the more profitable to Spain, especially since Morocco had strained relations with both Algeria and Mauritania. Spain knew how to use this situation to its advantage and put Morocco in an uncomfortable situation of isolation. 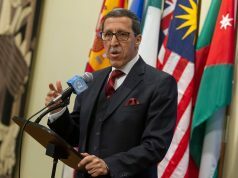 On the other hand, the recognition that Polisario obtained since the termination of Spain’s presence in the Sahara has more to do with the lack of vision, clear-sightedness and communication strategy of Moroccan diplomacy for the most part of the past three decades, than with the legitimacy of the claims of the Polisario. It has also more to do with the unlimited financial and political support that Algeria and Gaddafi provided to the Polisario since its inception, in addition to the sympathy that this separatist movement enjoys in Spain. 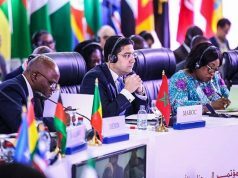 In addition, Morocco’s unfortunate decision in 1984 to withdraw from the Organization of the African Unity (present day African Union) after the Polisario was accepted as a full-fledged member of the pan-African body has weakened the Kingdom’s ability to gain support for its case. This decision allowed Algeria to have free rein to lobby for the positions of the Polisario, which resulted in many African countries sympathizing with this movement. On the other hand, besides the historical aversion of a large part of Spanish society to Morocco, the support lent by Spanish public opinion is motivated by resentment held by the latter against the former. Part of this hostility comes from Moroccan leaders who took advantage of the uncertainty hovering over the future of Spain at a time when Franco was dying and who proceeded to reinstate Morocco’s sovereignty over the Sahara. In fact, most Spaniards regard the Green March as an act of treason perpetrated by Moroccans against Spain. In his landmark book entitled Moroccan Saharan Frontiers, published in 1967, Frank E. Trout showed clearly that both in the 1902 Accord between France and Spain and the 1904 Accord between France and the UK over the sharing of zones of influence in Morocco and North Africa, the three colonial powers recognized that the Sahara (the territory located between Oued Daraa and Cape Bojador) was Moroccan and could become a zone of influence of Spain. These historical facts stand in stark contrast with the allegations of all those who state that Morocco has “annexed” the Sahara and that the Saharawis are living under “occupation”. If there was an annexation of the Sahara, this took place in 1884 when Spain moved to occupy this territory. What Morocco did in 1975 was recover a part of its territory that was snatched away from it by Spanish colonialism.